← Dimethyl Ether – The fuel of the future? 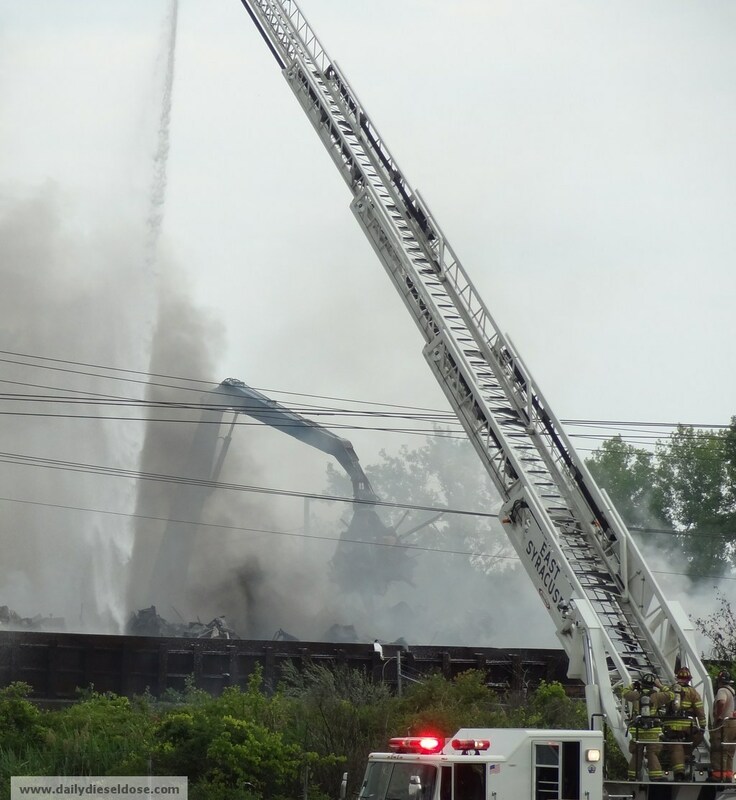 Yesterday there was a massive fire at the Metalico Metal Recycling facility in East Syracuse, NY. This particular location happens to be ooohhh about 1/2 a mile from my home! 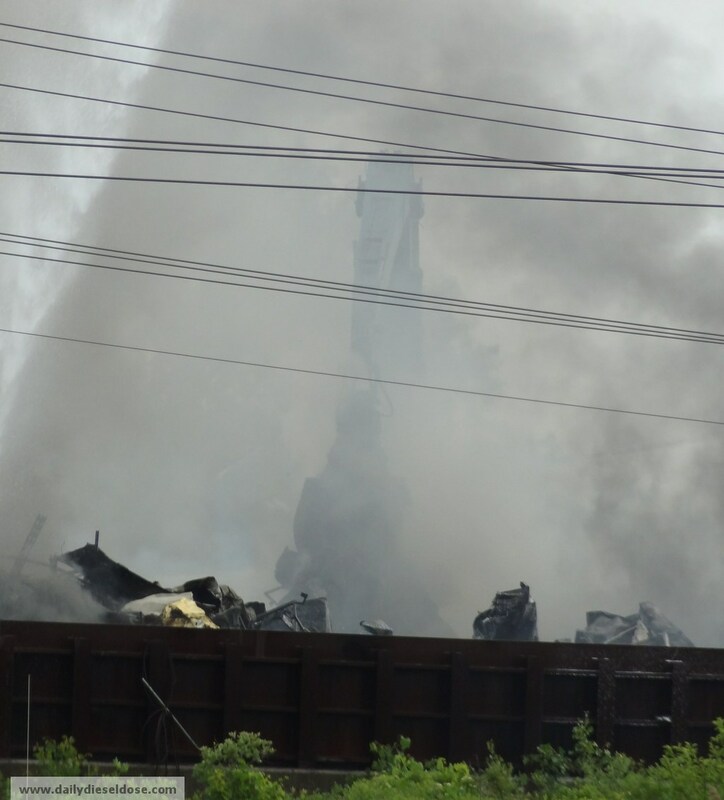 Think black smoke poured from the scrap yard for nearly two hours and could be seen for miles around. Thankfully the winds were in my favor and blew the noxious fumes to the north and away from my house. 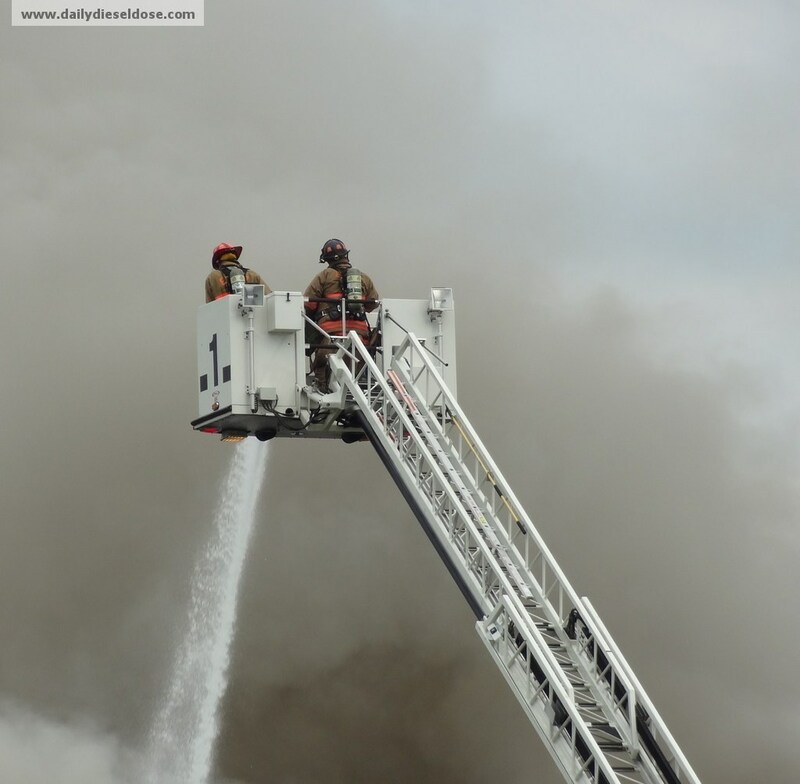 A reverse 911 call was made to the majority of residents in the area warning people to stay inside, turn of air conditioners and keep windows closed. I missed this call as I was busy doing everything it warned residents not to do! Oh well, the pictures and videos turned out great. 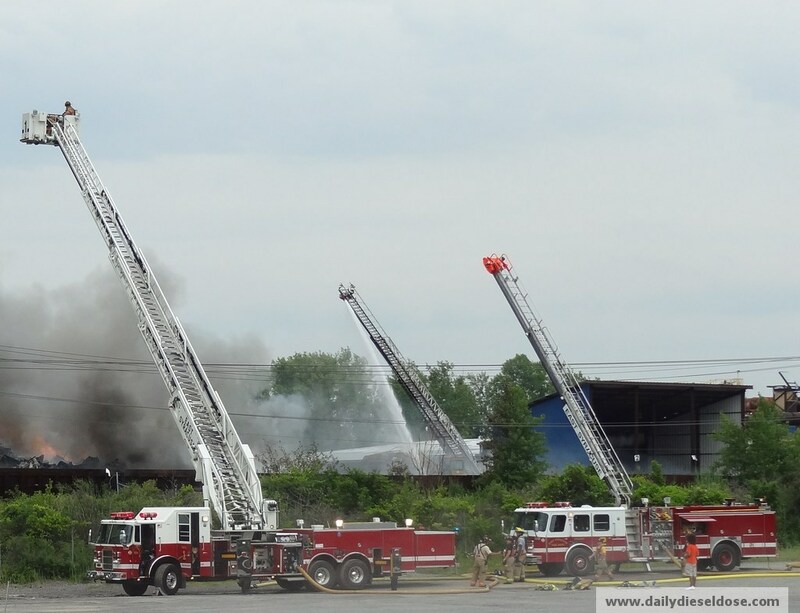 This fire occurred on a particularly bad day for the volunteers of the East Syracuse Fire Department as they were set to lead a parade to their own Firemans Field Day event. The fire started shortly after 12PM and needless to say they did not make the 6PM deadline. A true example of what happens when duty calls. 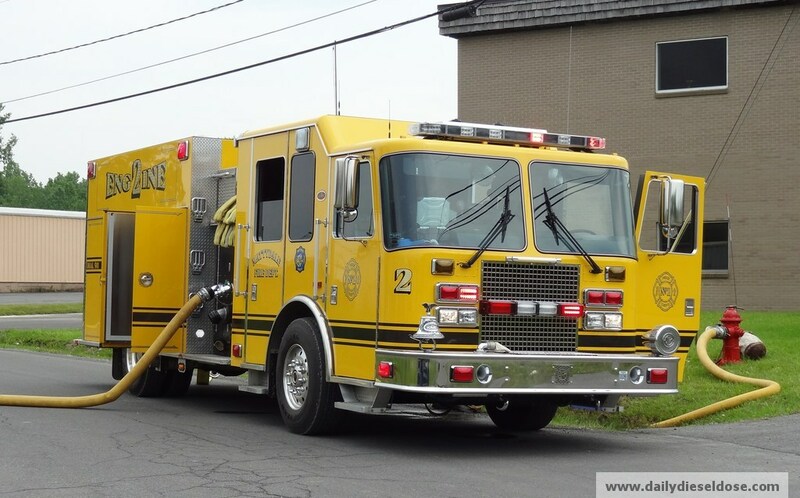 Other fire departments were on hand to pick up the slack in both the parade and the fielding of emergency calls. 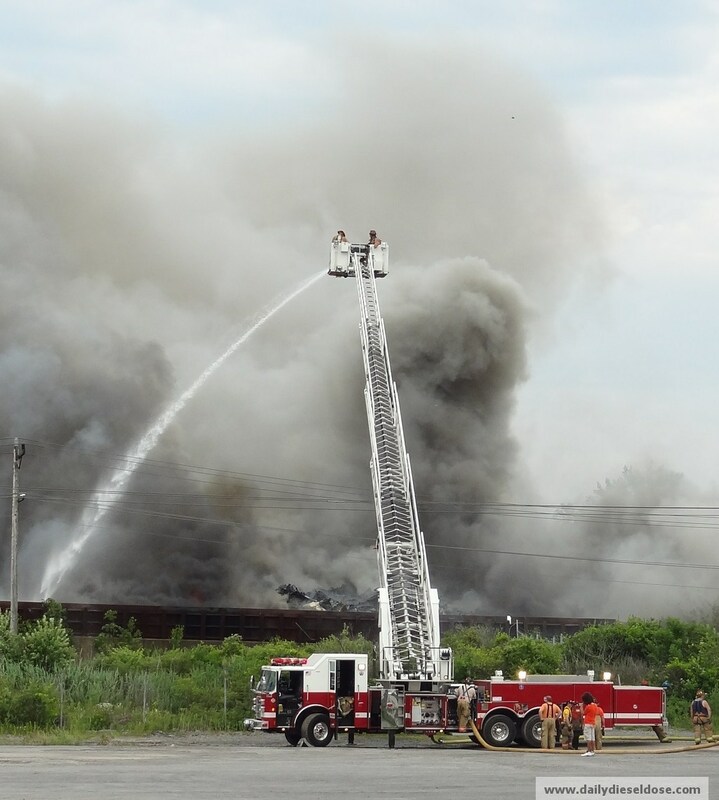 If my memory is correct this is the third fire in past two years at the Metalico site. 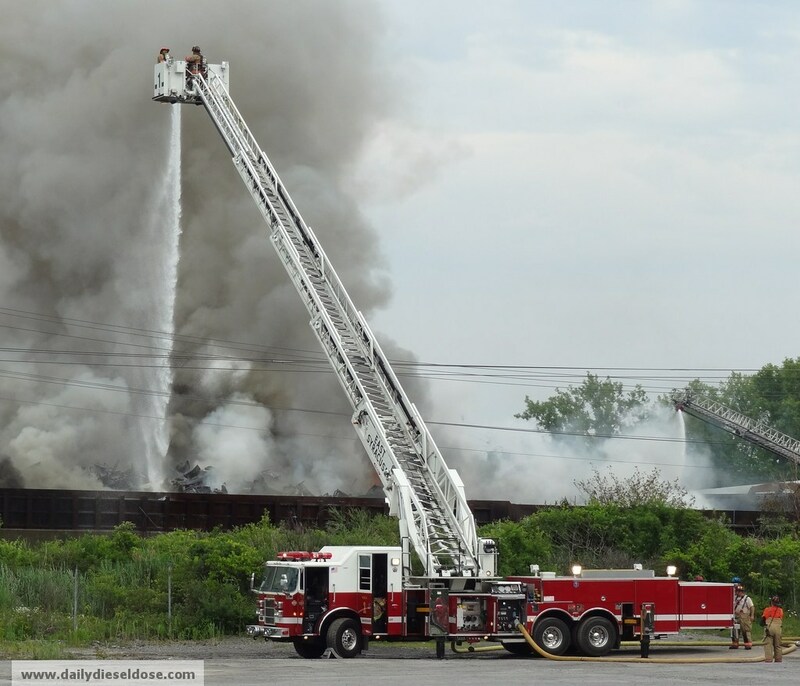 This fire however, burned the longest and drew much attention from local residents and the media. I had plenty of company while watching the battle take place. Many rumors circulated among the crowd. 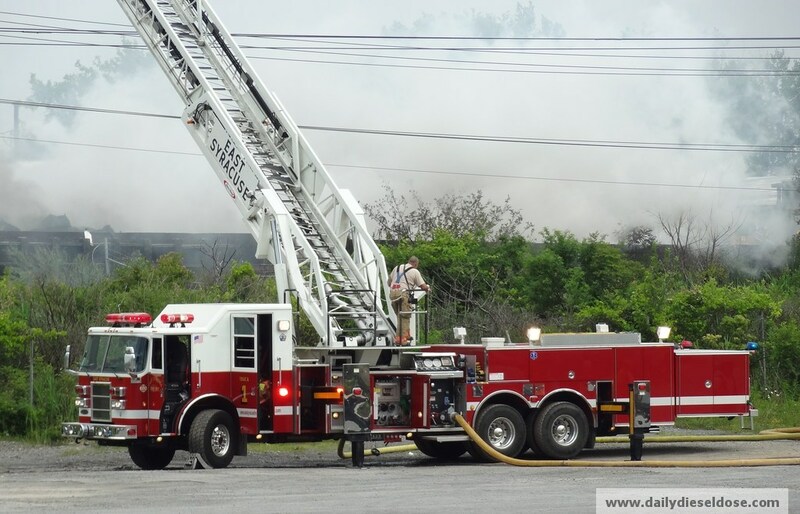 One man said foam trucks had been called from the nearby airport and National Guard base. Still others feared explosions. One person openly worried about fumes. No one left. By the way, no foam trucks arrived. Too bad really, that would have been a sight to see! I would like to stress again, the crews on hand are 100% volunteer! Average folk like you and mean who were sent to battle a large industrial fire. I tip my hat at their bravery. After two hours the fire was nearly under control. 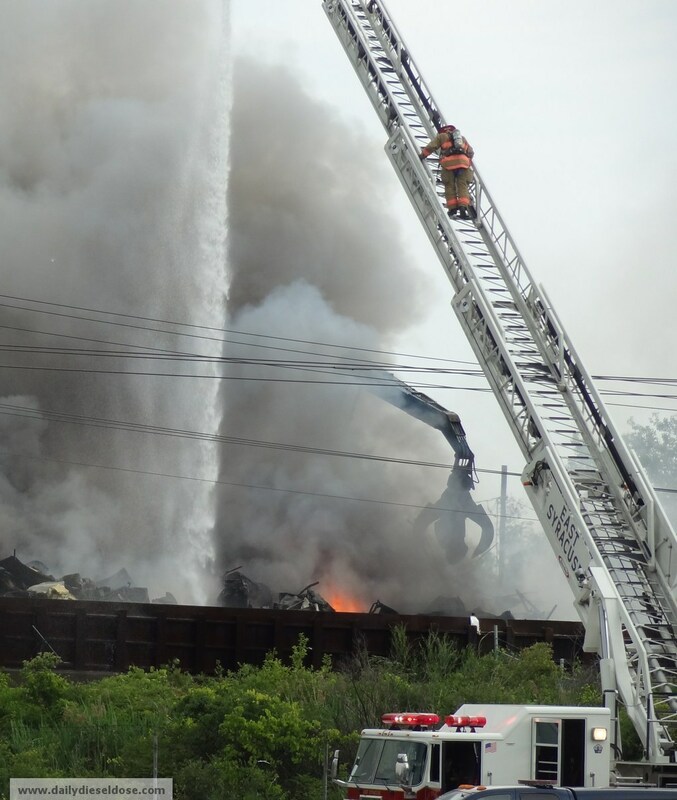 At this point a heavy equipment operator from the scrap yard moved in with the grapple loader to shift the mountains of scrap so crews could to the hot spots. 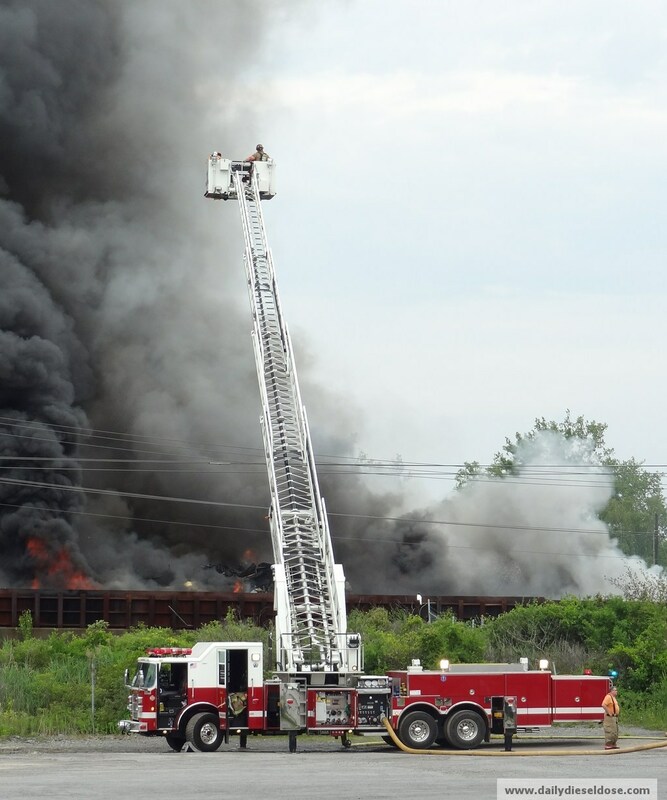 There was no way for this person running the loader to avoid being enveloped in smoke and heat. 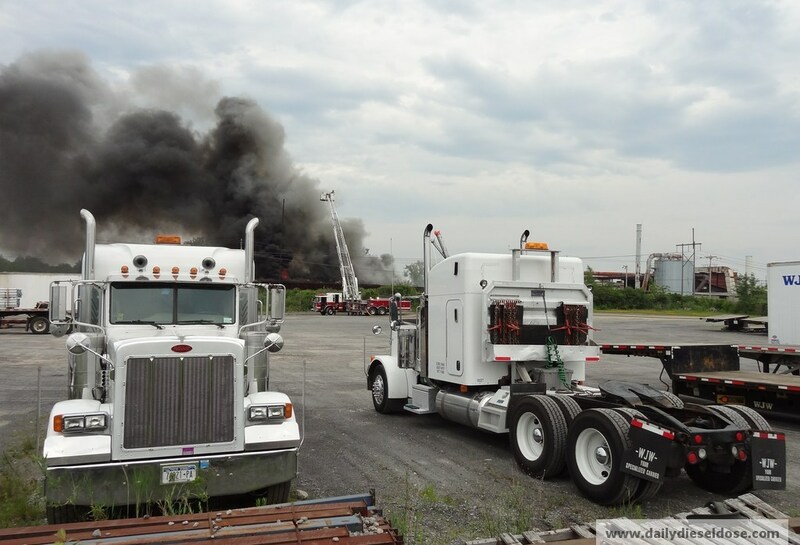 As you can see from the photos the grapple looms from the clouds surrounded by fire. I wonder if this guy was paid OT for his trouble? 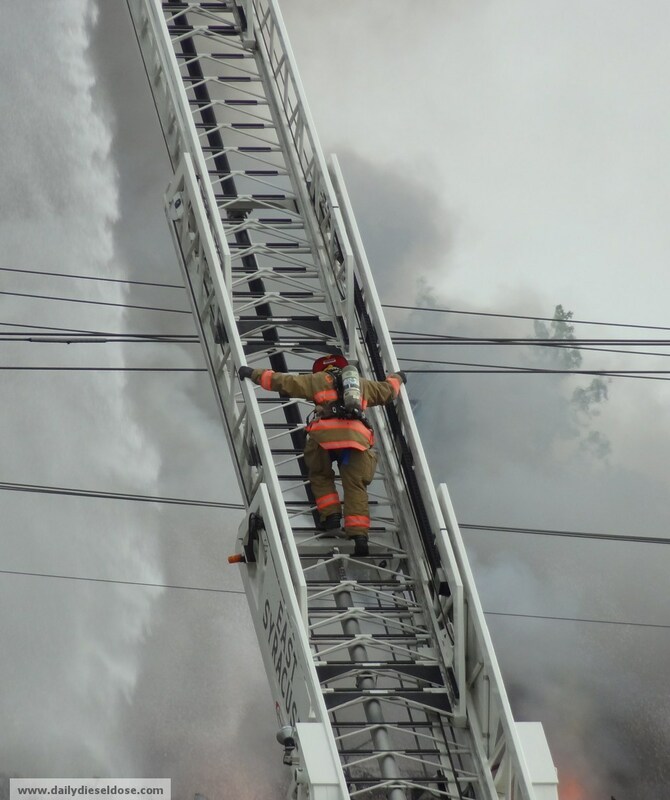 As of writing this story the cause of the fire remains undetermined. As protocol dictates, I end this post with a link to a video of the action. 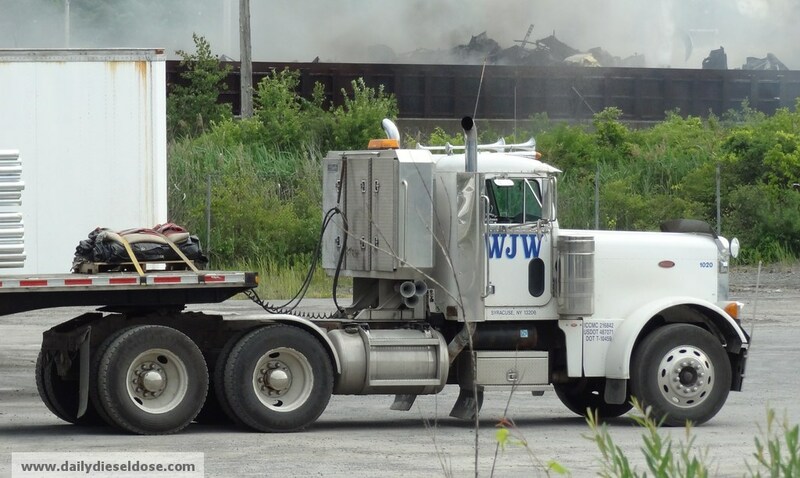 This entry was posted in On the Job and tagged east syracuse volunteer fire department, metalico scrap yard fire. Bookmark the permalink. Wow. I am trying to place exactly where this place is in East Syracuse. 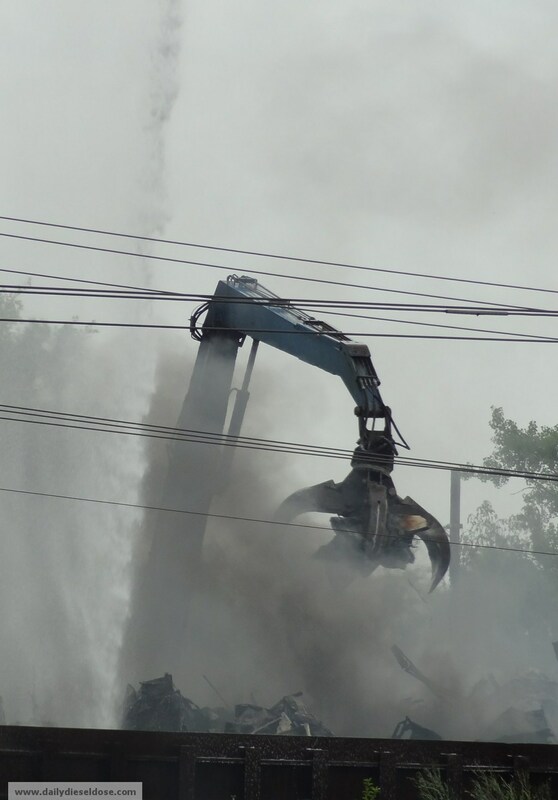 It almost looks like that claw operator is actually moving stuff around during the fire! This place is right near the corner of James St and Thompson Rd. 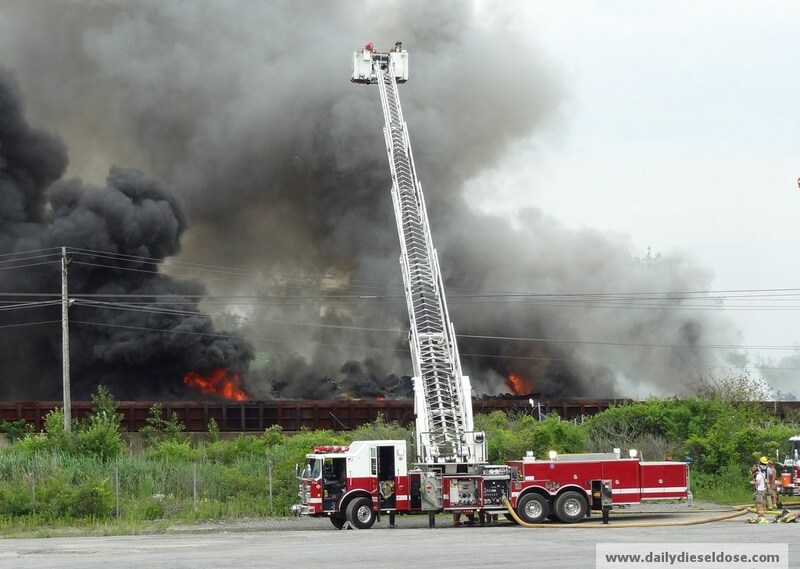 The current story is a bunch of car seats, plastic and other non metal items removed from scrap cars caught on fire. Ahh…okay. Now I know where it is. Head up the street for an over-sized omelette at Mother’s Cupboard.